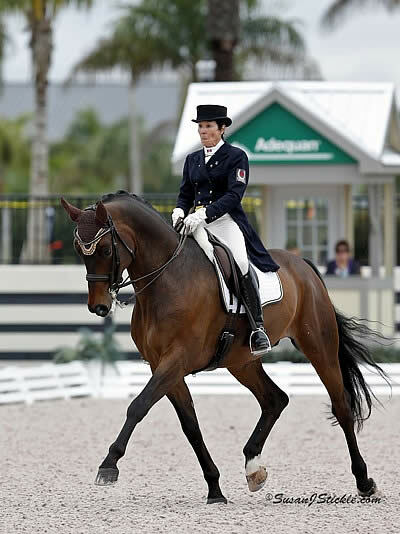 Wellington, FL – February 15, 2013 – The Adequan Global Dressage Festival (AGDF) continued today with two top classes for the Small Tour and Large Tour in the Florida Dressage Classic CDI-W presented by the USPRE Association. The $3,000 FEI Prix St. Georges, sponsored by Havensafe Farm, saw the top two spots going to Christilot Boylen (CAN) riding Hudson 18 and Dio Mio, both owned by Windhaven Farm and Jill Irving. Tina Konyot (USA) was the winner of the $20,000 FEI Grand Prix Freestyle, sponsored by USPRE Association, on Calecto V, with Tinne Vilhelmson-Silfven (SWE) and Divertimento second and Jacquline M. Brooks (CAN) on D Niro in third. Today’s judges in both the FEI Prix St. Georges and FEI Grand Prix Freestyle were Jane Weatherwax (USA) at E, Victoire Mandl (AUT) at H, Gary Rockwell (USA) at C, Jean-Michel Roudier (FRA) at M, and Jacques Van Daele (BEL) at B. This morning’s FEI Prix St. Georges had an outstanding 19 entries. Winning first and second place, with scores of 69.921% and 67.868% respectively, Boylen was content with the performance of the 9-year-old bay Oldenburg gelding, Hudson 18 (Hohenstein x Democraat) , and the 10-year-old black Hanoverian gelding, Dio Mio (De Niro x Charmeur). “Dio is usually a horse that makes few mistakes, if any at all, so today’s couple mistakes were flighty. He was a little nervous in the ring this morning. He should be getting better since he’s seen this arena before. Hudson is very green, but did a super job today and I’m very thrilled with him. That’s his third Prix St. Georges. He rode in the National in January and then went international at the CDI-W two weeks ago. He’s gone from a 66 to a 69 in such a short span of time that I can’t ask for anything more. I always knew it was in him. He’s a brilliant horse. Now we just have to continue to get him experience in the ring,” remarked Boylen. Jill Irving, part owner of both horses, won both today’s Adult Amateur FEI Intermediaire I and FEI Grand Prix-Open in the Wellington Equestrian Realty Ring 1. Riding Delavaux in the Intermediaire I, she scored a 67.500% and in the Grand Prix-Open, she rode Degas 12 (De Niro x Regazzoni) to a score of 70.213%. With 12 entries in tonight’s FEI Grand Prix Freestyle, Konyot won with a score of 76.775%. Under the lights, she and Calecto V (Come Back II x Rastell), owned by Konyot and John Byrialsen, danced to the music. In reflecting on her freestyle, she commented that the 15-year-old Danish Warmblood stallion felt wonderful. “I was looking to improve from yesterday so it was just great. When you are on your own, doing your own thing with your horse, you feel personally responsible. He’s been feeling fantastic. Yesterday’s warm-up and today’s was fantastic. I rode just to be happy. Because of issues in my personal life, I almost scratched today, but my boyfriend convinced me to go in and just enjoy myself and do the best I can. My horse is a good boy. I love him so much!” Konyot said. Vilhelmson-Silfven and Antonia Ax:son Johnson’s Divertimento (Di Versace x Ferragamo) rode a brand-new freestyle this evening. Receiving a score of 74.700%, no one could tell she had only one run through this morning. “I thought it was great fun. I really enjoyed the music and I think it fits him well. It was a challenge to ride a new test since I haven’t had it a long time to practice with, but it felt good,” observed Vilhelmson-Silfven. In thinking about the 11-year-old bay Westfalen gelding, she felt he was a bit tense, but better than the last CDI here two weeks ago. “I had a little mistake in the last piaffe due to camera flashes, but otherwise I’m happy. Some more practice is necessary, but overall I like my new freestyle. He was comfortable riding it,” she noted. Brooks and D Niro (D-Day x Napoleon 625) were awarded third place with a score of 70.900%. The 14-year-old grey Swedish Warmblood gelding owned by Mary Brooks is finally being able to really feel the test. “Last year was making him happy with and practicing the test at these shows for the Olympics, which he was amazing at. This year it is about adjusting how he goes. The first few shows there was some miscommunication between us as he was confused as to why I was changing things. But today he was full-on in. He was committed and it’s a great feeling to know that he is content while riding the test. You know they’re happy when they get those floppy ears and that makes me really happy,” praised Brooks. Konyot said, “He’s completed my bucket list. But he’s a strong horse and that’s so important. He’s been feeling great training, so I needed to have a good feeling in the arena, to confirm my feeling. 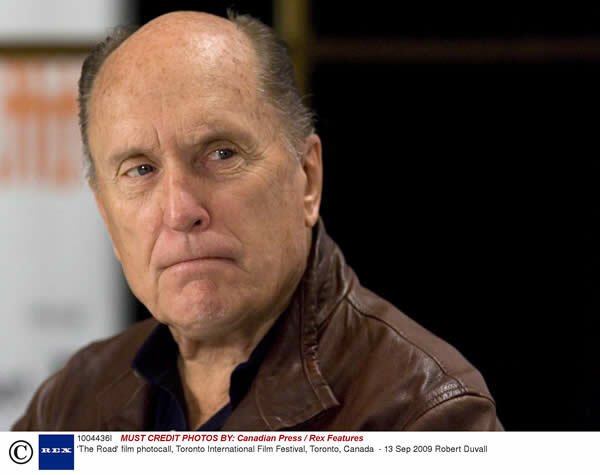 I am certainly aiming for another World Cup qualifier and then we’ll take it from there.” Brooks is focusing on the 2014 Alltech FEI World Equestrian Games, but the World Cup Finals could be on the horizon if things fall into place. Vilhelmson-Silfven has already qualified for the World Cup Finals with her top mount Don Auriello, but is concentrating on taking everything one step at a time. Other CDI-W classes took place today in the International Arena as well. The winner in the FEI Pony Team was Barbara Davis (USA) riding Poldy 10 (Platello), owned by Michael Davis, with a score of 66.885%. In the FEI Young Rider Team, the blue ribbon went to Mathilde Tetreault (CAN) with Michelangelo (Admiral) with a score of 65.526%. The FEI Junior Team saw Naima Moreira-Laliberte and Diamond (Donnerhall x Werther), owned by Moreira-Laliberte, as the winners with a score of 65.649%. Dressage continues tomorrow with the $5,000 FEI Intermediaire I beginning at 8:30 a.m and the $10,000 FEI Grand Prix Special beginning at 2:40 p.m.
Jessica Parlon for Jennifer Wood Media, Inc.
Itapira, Brazil (September 18, 2012) – Interagro Lusitanos was filled with the sounds of bidding and sights of stunning Lusitano horses at their annual Interagro Collection National Auction, which took place on August 25, 2012 in Itapira, Brazil. The auction featured horses from both Interagro and their guest breeder, Rocas do Vouga, and was for the first time the National auction was open to an international audience. Some of the new features included an app, which allowed buyers to view all of the horses in the auction on their mobile devices, as well as an English website and x-rays on the 12 adult horses presented. Over 430 guests attended the anticipated event, and 9 of the Lusitanos sold were purchased by buyers from other Brazilian states and other countries, including the United States. The 2012 Interagro Collection was a combination of the 21st Annual Interagro Collection National Auction and the 5th Annual Lusitano Collection International Auction, and marked the first time that the auctions were combined. The much-anticipated event presented a select number of premium Lusitano horses from both breeders. All of the Lusitanos are evaluated from birth for their athleticism, trainability, and temperament. Interagro and Rocas do Vouga sold 25 weanlings and 9 sporthorse prospects at the auction, including Diacono Interagro, Dream do Vouga, Euforia do Vouga, Hamilcar Interagro, and Dervixe Interagro. Wellington, FL – September 5, 2012 – Equestrian Sport Productions (ESP), the management company of the FTI Consulting Winter Equestrian Festival, is pleased to announce the dates of their 2012 ESP Fall Circuit. The ESP Fall Circuit will be an introduction to the fantastic winter show season at the Palm Beach International Equestrian Center in Wellington, FL. The ESP Fall Circuit will feature six weeks of world-class competition on October 5 through November 18, 2012. The horse shows of the 2012 ESP Fall Circuit are all USEF, NAL, and Marshall & Sterling League approved. The shows feature an early stall discount of $30 per stall (see details in prize list), new 2’6″ Children/Adult Equitation divisions, $10,000 Open Jumper Stake classes at all “A” shows and the November “C” show, $2,500 Junior/Amateur-Owner Jumper Stake classes at all shows, and $500 Pony and Children’s/Adult Hunter Classics at all shows. Wellington, FL (April 12, 2011) – During an exciting night under the lights in the International Arena at the 2011 FTI Winter Equestrian Festival, Richard Spooner and Lady Like cleared the Vita Flex oxer in winning time during the final phase of the $50,000 Vita Flex Match Race to take home the winning ribbon as well as the Vita Flex Victory Pass Award. The $50,000 Vita Flex Match Race featured five rounds of races with riders competing head-to-head in competition over mirror-image courses. Spooner was thrilled with his victory and said he always enjoys competing in match races. There were 32 combinations in the $50,000 Vita Flex Match Race, and Spooner won against Karina Aziz, Todd Minikus, Paul O’Shea and Jonathan McCrea. He praised Lady Like, a 1999 Holsteiner mare, and said she was quick and careful over the five rounds which included beating out Daniela Cordero and T Cavalier in the final round. Spooner’s $50,000 Vita Flex Match Race victory also helped him take home the Vita Flex Victory Pass Award. Spooner was pleased with both wins and thrilled to win a competition that offered such a large monetary prize. Spooner compared the $50,000 Vita Flex Match Race to horse racing and said that the crowd was really behind the event. Madeleine Pickens & Wild Horse Coalition Call for Suspension of All Summer Round Ups! (July 13, 2010) – Philanthropist and businesswoman Madeleine Pickens was joined today by the million-member ASPCA, the American Wild Horse Preservation Campaign, and many other organizations expressing their outrage over the deaths of at least seven mustangs in a Bureau of Land Management (BLM) roundup conducted Saturday in the Owyhee Complex in northeastern Nevada. The wild horses died of dehydration-related causes — including brain swelling, colic and acute water intoxication – as a result of being stampeded by helicopters for up to eight miles in 90+ degree desert heat. June 29, 2010 – CHICAGO, (EWA) – Since the 107th Congress (2001), equine welfare advocates across the country have been trying to get elected officials to pass legislation to ban the slaughter of American horses. Polls have consistently shown that the legislation has the support of 70% of Americans, but without fail the bills have been stalled, blocked with secret holds, and left off the legislative calendars. Now it appears the European Union (EU) and Canada may stop horse slaughter before Congress. Strict new traceability requirements will go into effect July 31st, for all horses slaughtered for consumption in the EU. Additionally, the EU is poised to require Country of Origin labeling of all meat. And finally, the EU has begun investigating inhumane slaughter practices in Mexico. Despite President Obama’s promise to not allow lobbyists to run the country and his support of a horse slaughter ban when he was in the Senate, the agricultural special interests have continually been allowed to prevent the legislation from moving forward. Public records reveal donations from special interest groups to the legislators blocking the bills. “When it comes to stopping the slaughter of horses, clearly money talks,” commented Equine Welfare Alliance’s (EWA) John Holland.